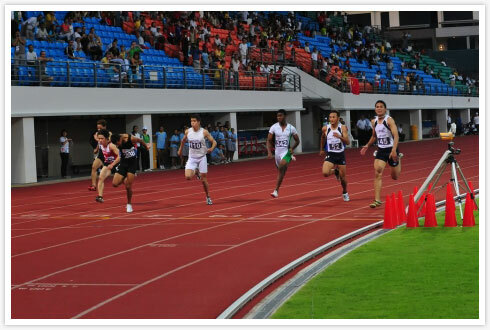 The Asian Area Qualification for the Youth Olympic Games was held back in May 22-23rd, and here’s a few photos from the event itself. 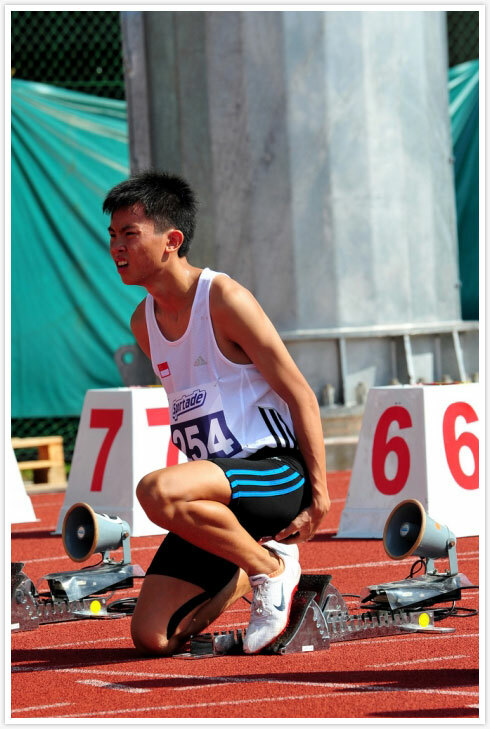 The Boys 100m finals was won by Jirapong Meenapra of Thailand in a time of 10.72 seconds. 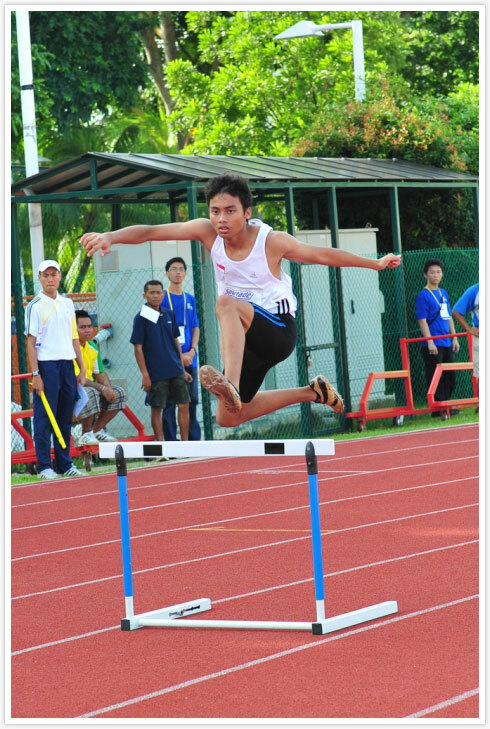 Luqman Zamrot running in Heat 2 for Boys 400m Hurdles. He finished 4th in a time of 59.32 seconds. 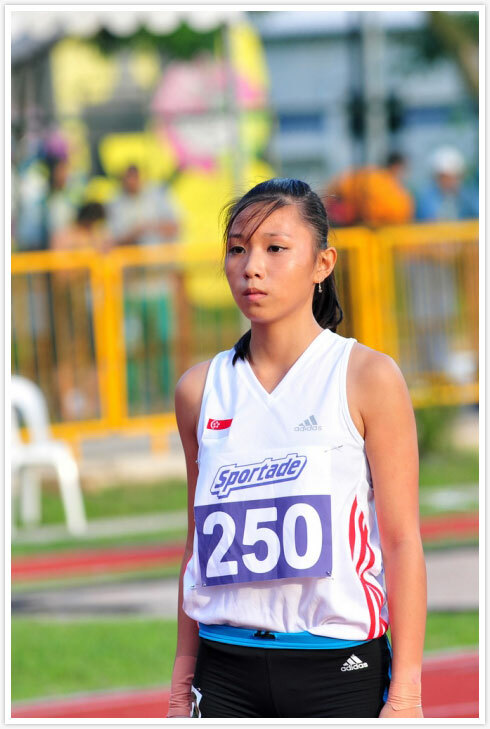 Singapore Sports School’s girls hurdler, Goh Wei Ning lost in her thoughts, preparing for her race. 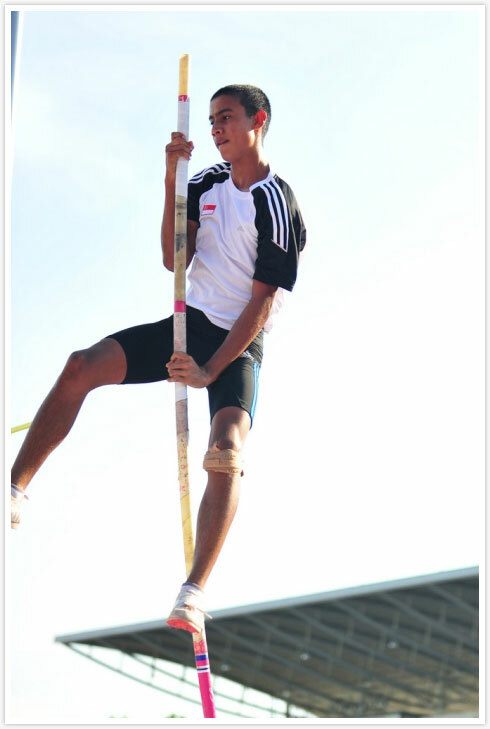 Arivan Shanmugaratnam practice his vaulting during the Boys Pole Vault finals. 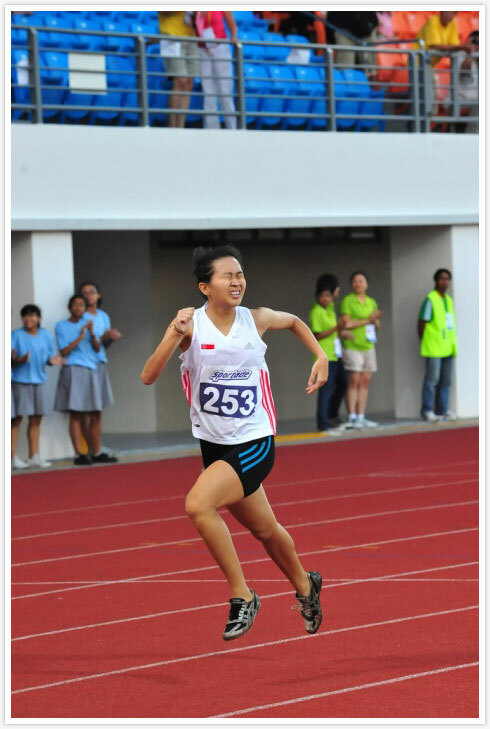 Valerie Loo a composed figure moments before her 200m heats race. 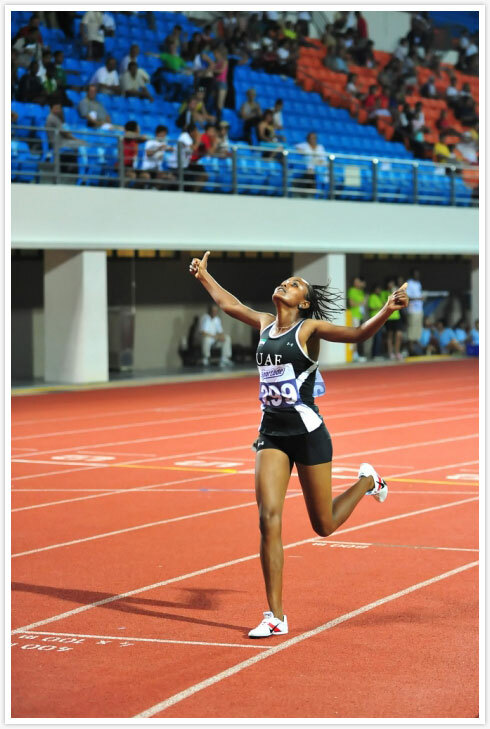 Alia Saeed of the UAE won the girls 3,000m event emphatically in a time of 9:15.15. 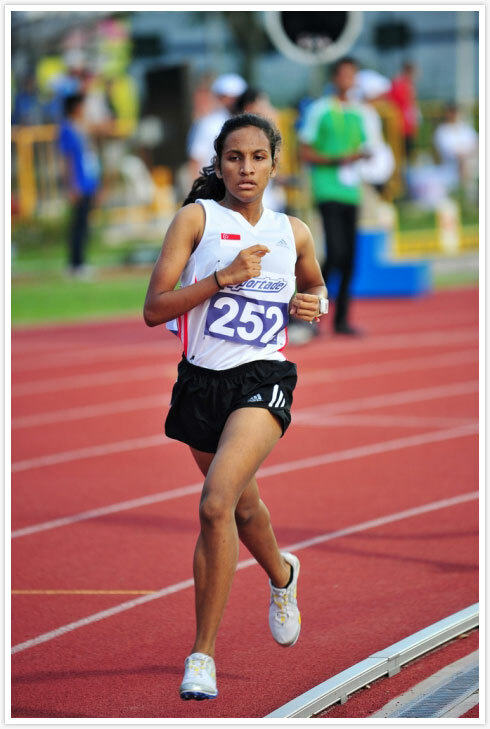 Ranjitha Raja credibly finished 7th in the Girls 1000m event. 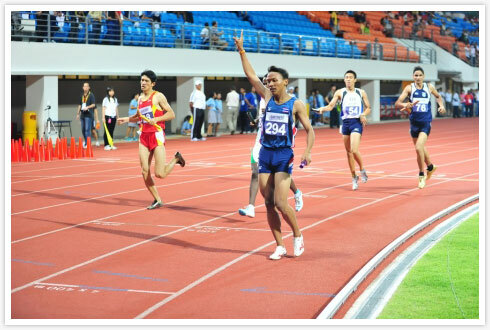 Thailand took the lead in the Boys Medley and never looked back. They won in a time of 1:53.81. Krista Shilin Yeong running her race, the Girls 400m Hurdles finals. Team China pipped Thailand by the closest of margin for the win in Girls Medley. Donovan Chan raring to go. He finished his heat in 5th place with a time of 11.28 seconds. 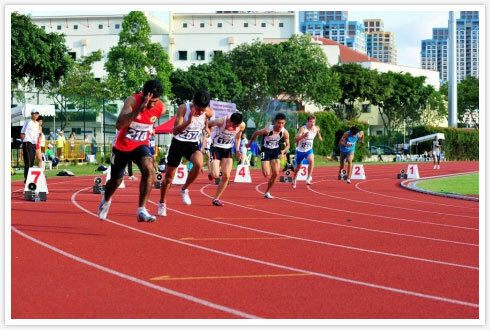 Ng Chin Hui in Lane 6, staying low seen here in his 200m heats. He finished 4th in 22.88 seconds. Credit: Photos courtesy of Citrus PR.